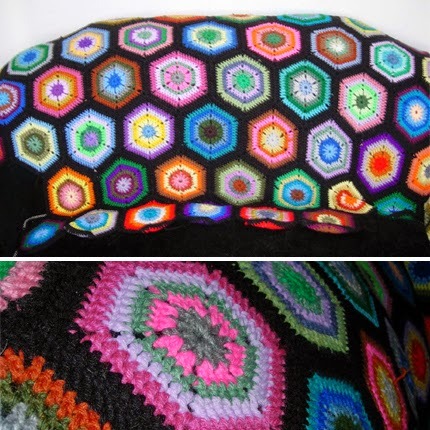 This is an afghan I have been working on using vintage yarn oddballs I got from my grandmother and grand aunt. I noticed there was a bit of interest in it over at Ravelry, so I've decided to post my recipe here. I apologize beforehand on my garbled instructions!